The Jaguar Roadside Assistance program provides Jaguar owners with 24/7/365 access to help when you need it most, even if you’re far away from home. By simply calling the Jaguar Roadside Assistance number at 1-800-4-JAGUAR (1-800-452-4827), you’ll get the help you need right away. The Jaguar Roadside Assistance program is extremely easy to use and provides you with peace of mind while on the go. And if you’re more than 50 miles away from home, the Jaguar Roadside Assistance program will pay for your alternative transportation as well as hotel accommodations. Whether you’re going on a roadtrip or just use your car to communicate, regular maintenance can help reduce the chances of a breakdown out on the road. 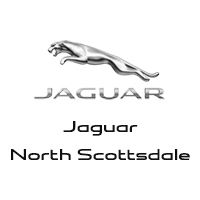 Make sure your Jaguar is in the best shape possible by scheduling regular service at Jaguar North Scottsdale. You can also have our staff help you set up Jaguar InControl, which is an easy way to get roadside assistance when you need it. 0 comment(s) so far on What is the Jaguar Roadside Assistance Program?